If there is one game that broke recordsand increased on-screen time of mobile users, it was Pokémon Go. Developed by Niantic Labs, the game requires aplayer to hunt Pokémoncharacters by walking around in their surrounding areas and capturing thecharacter on their mobile screen. The AR game hit more than $600 millionconsumer spending which is way above in comparison to any other mobile game. Iteven surpassed Clash of Clans and Candy Crush and paved a neat road for futureAugmented Reality mobile games. 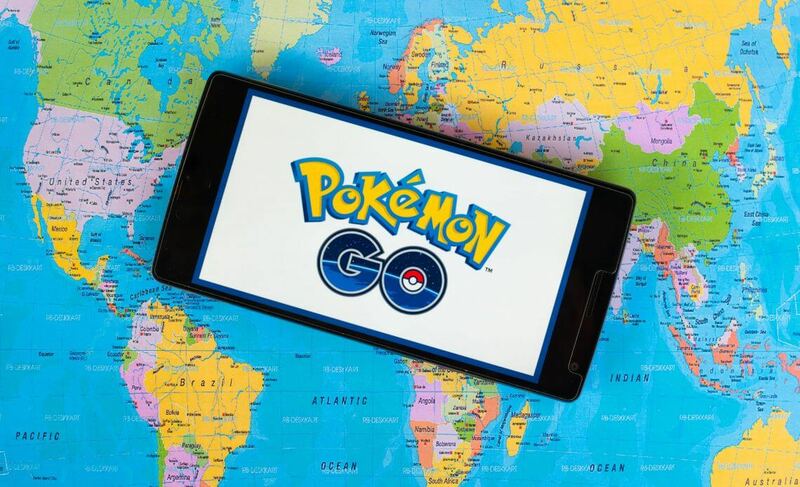 The game had a very important lessons for gamedevelopers: People want something engaging and are ready to try out new things.With smartphones now equal to a body part, the developers need to learn how totake full advantage of this phenomenon in order to create a hype that Pokémon Go was able to spread. Let us all look at the facts that Pokémon Go was able to show to the world. It hit 15 million downloads in one week and earned 1.6 million revenues on a daily basis. Surprisingly, it crossed Tinder’s downloading record and Nintendo had to take steps to boost the capacity of their server. The game increased the market value of the company to $10 billion dollars. Talk about taking over the world! The game hit all the right areas. It gave people the opportunity to enjoy Augmented Reality on their phones and while the other games could simply be played sitting on a couch, this one compelled people to walk around outside to hunt for characters. The addiction is real! You have to catch 150 characters and with each level up, you get a chance to catch a rare Pokémon. While the AR game is doing pretty well just the way it is, there is a lot of business opportunities for the company in the future. For one, they are going to update it by adding a trade feature between the players as well as leaderboards so the players can compare their progress with other players. On the other hand, it might also be seen as a marketing strategy by businesses who might want to place their franchises at certain spots for people to lure into while hunting for the Pokémon. The game did become a concern for parents with road accidents coming up in the news while people played behind the steering wheel, but one cannot ignore the positives and record break trail that the AR game brought in the digital world. It opened many doors for AR mobile games and we can all expect some good AR competition among the developers in the near future.